Happy Valentines to all the bloggers around the globe. If you are turning 50 this year like me, then this is our comfort cake. Late at night when peri menopause kicks in, you got to get up and bake!!! I have this craving for Pineapple Upside-Down Cake so bad. I am not feeling well for the past weeks and you know when you are sick, you wanted to eat something that will make you feel better...and that's what happened to me. I cant remember the last time I made this cake. Although its a personal favorite, I don't make this often simply because I am the only fan in my family. But it changed since yesterday night, my family has different reaction. Oh they love this cake ! Yes, Now I am not the only fan, there's four of us and the sad part is my craving not satisfied because the cake is finished at once. I will be baking again today! With this cake, Im such a failure with its original batter- the combination of egg yolk mixture with the beaten egg white. I dont know why I cant get the right consistency and texture and it was so frustrating then. I found an option, I apply the same ingredients and procedure just like with my Evap Milk Soft Cheesy Bars ( without the cheese this time ) and it was great. Place butter and sugar in a sauce pan and stir over medium heat until the butter has melted and the sugar has dissolved. Continue cooking without stirring until bubbles just start to appear around the outside edges of the mixture ( at this point, its caramelized ). Then remove from heat and pour into the prepared cake pan. Arrange the fresh pineapple and cherries according to your preference. Set aside and proceed to make your cake batter. Transfer to the baking pan with syrup. Bake for 50 minutes at 350 degrees F or 180 degress C.
Rest for about 3 minutes then run a sharp knife around the edge of the pan. Invert the cake onto your serving plate. Enjoy! My heart of cake is broken but my tummy is full. If there's such thing as comfort food, then Pineapple Upside Down cake is my comfort cake. You see that, the top is buttery and crusty.. this is such a comfort cake for anyone going 50 like me.. I bet you will agree with me. How come this pineapple is so good in a cake..yum!!! Oh wow this cake looks and sounds so good. Thanks for sharing at Cooking and Crafting with J&J. oh Mareliz this is beautiful!! I can almost taste it just looking at it!! Thanks for sharing at the What's for Dinner Party. Have a great week. Ha Ha.. Thank you Helen, I got you! Thank you for stopping by and for the lovely comment. Have a great weekend. Hello Angie, thank you for stopping by and for the kind words.Have a lovely weekend. I, too, love pineapple upside down cake! I haven't made it for awhile. I usually leave off the cherries, but now that I know my son likes them, I should include them. Thank you for sharing at Best of the Weekend Link Party! Hello Liberty, Thank you for coming over and you should bake one with cherries.. LOL! Have a great week. 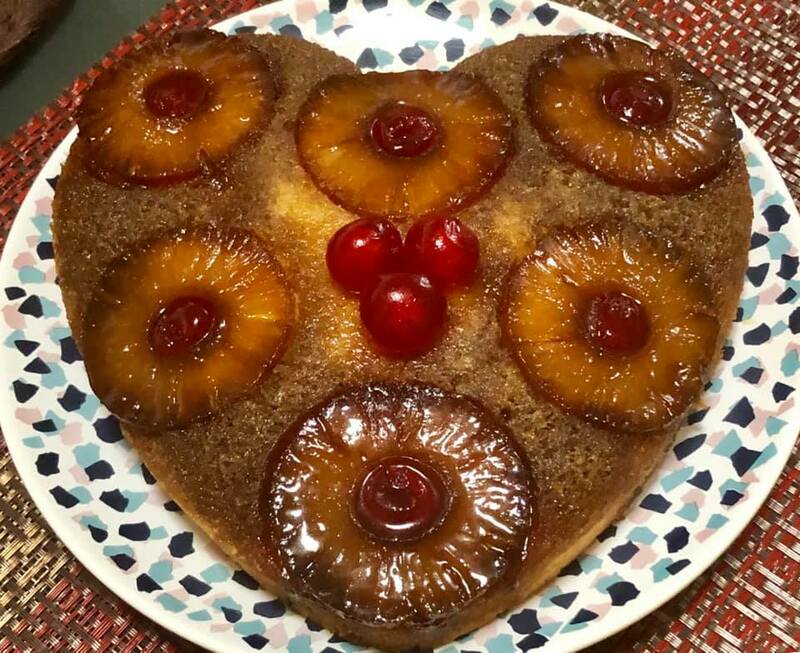 I just LOVE pineapple upside down cake and yet I've never made it! It sounds so easy too. I'm going to have to give this a try. Thanks so much for sharing with us at Encouraging Hearts and Home. Pinned. 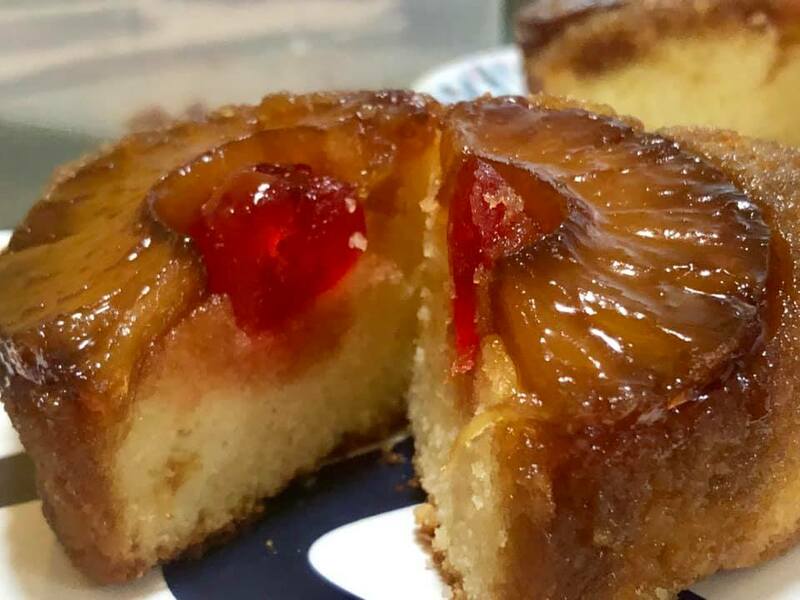 I haven't had Pineapple Upside Down Cake in ages, and it's a real favourite of mine! I like your recipe with the condensed milk, it would add a lovely richness to the cake. I also like the idea of baking when peri-menopause is keeping us awake! Thank you so much for sharing this lovely recipe, Mareliz, and for being a part of the Hearth and Soul Link Party. Have a lovely week! Thank you April for coming over and for the kind words.Its always a pleasure to go to your place and join the party. Have a great week. I love a pineapple upside down cake and your recipe looks delicious! Hope you are having a good week and staying warm. Thanks so much for sharing with us at Full Plate Thursday! It look pretty, MarEliz. 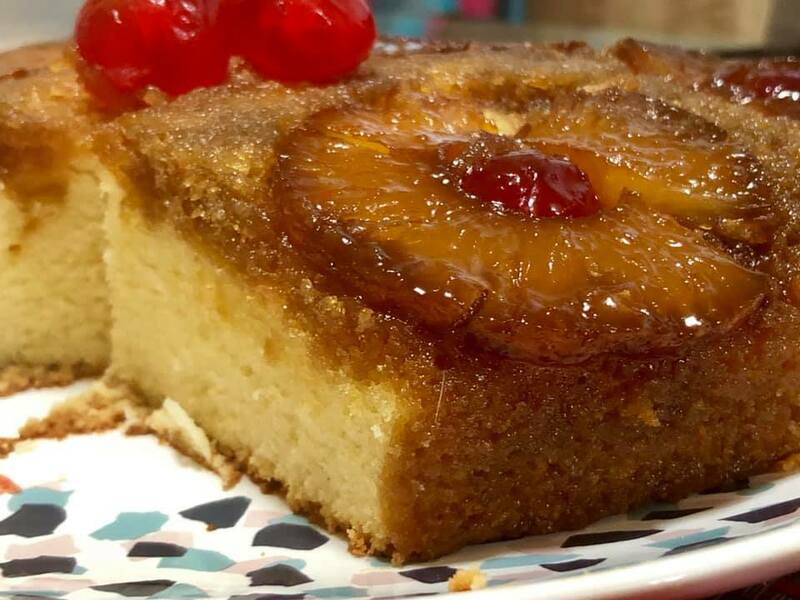 I love pineapple upside down cake; heck I love anything with pineapple :D Thanks for linking to Fiesta Friday! Hello Angie, it looks pretty and delicious too. he he.Have a great week and its a pleasure joining Fiesta every Friday. This looks delicious! Definitely comfort food. :) Thanks for sharing your recipe at Sweet Inspiration!